The Sudbury Table is a study in contrasts. Organic forms joined together by industrial fittings. Warm wood grain stands out against sleek steel. Scaled for smaller spaces, this table's rounded shapes create a relaxed vibe that's perfect for a modern dining area. 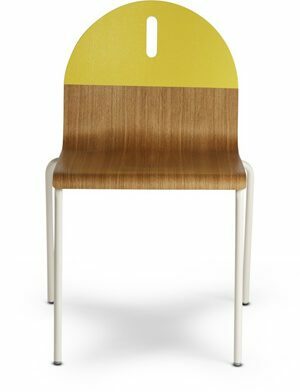 It features exposed ply legs and beveled tabletop with fittings made from durable, powder-coated steel. Available in natural oak with white.